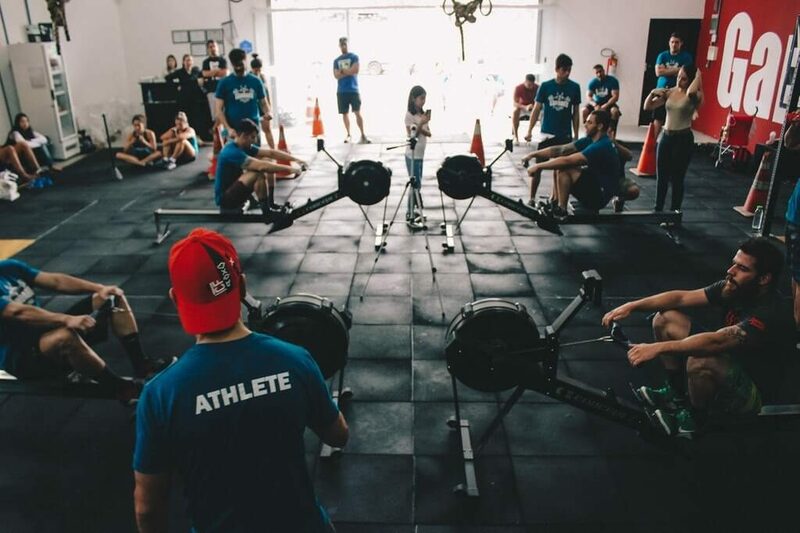 With the CrossFit games 2019 just around the corner, you may be asking yourself, should I try supplementing to get better results? 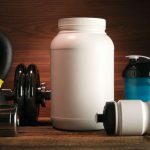 What are the best supplements for CrossFit 2019? Well, keep reading because I am going to show you 17 of the best Supplements for CrossFit, how they will benefit you, and what you should know before you choose the right supplement for you. 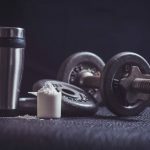 What are Key Elements (Ingredients) to Look for in Supplement for CrossFit? 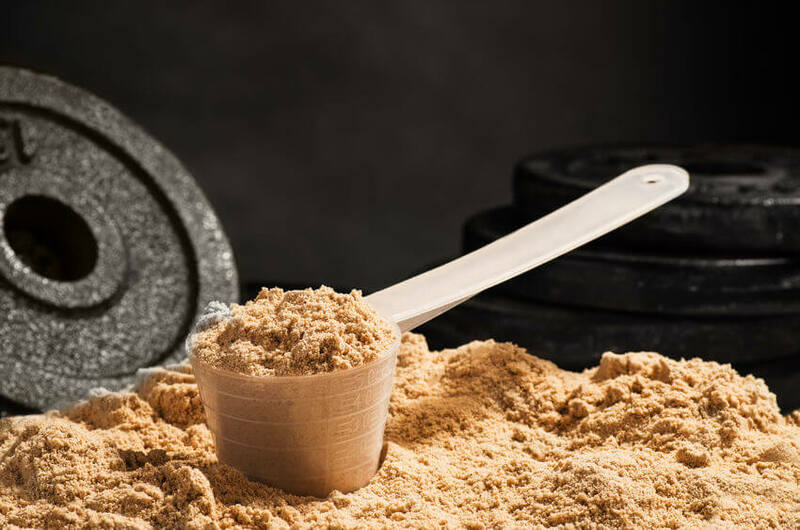 Review: Whey protein is a fast digesting protein that is ideal post WOD and post workout. Your body can use about 20 grams of whey protein per hours, so supplementing with this amount is ideal for muscle recovery and growth. 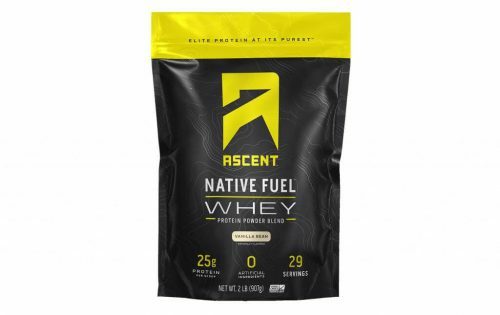 Ascent Native Fuel Whey protein mixes well, tastes great and is easy on the tummy. 25 grams of whey protein per serving. Sweetened with Monk Fruit, a natural alternative sweetener that does not impact blood sugar. Actually tastes good and won’t wreck your stomach. Contains soy Lecithin which helps it mix better. Great taste and quality ingredients make this my choice for best protein powder for CrossFit. 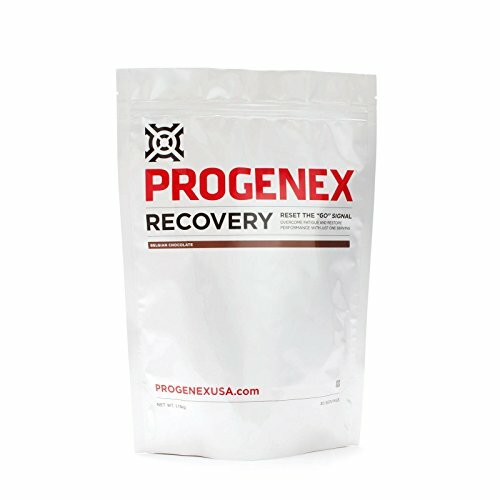 Review: Progenex is one of the best CrossFit supplement brands thanks in part to high quality supplements like this Recovery Whey protein drink mix. This drink mix contains 23 grams of quick digesting whey protein making it an ideal post workout drink for CrossFit athletes and all gym goers. What I love about this protein drink is it tastes good and won’t upset your tummy, something not all protein drink mixes can claim. 23 grams of quick digesting protein. Uses natural flavors and real cocoa powder for great taste naturally. Cold processed micro filtered whey. Contains sucralose and fructose as sweeteners. One of the best protein powder for CrossFit athletes, and former sponsor of the CrossFit Games. Review: ZMA may help the athlete in several ways. 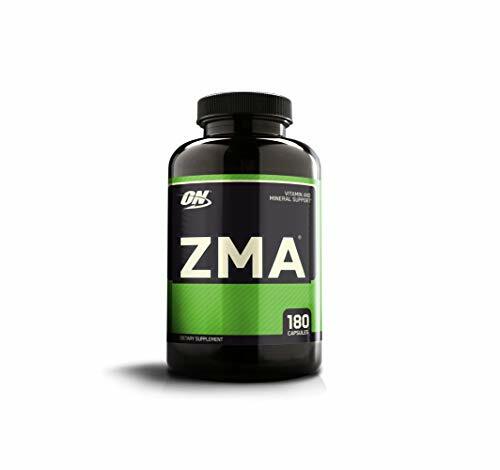 Proponents of ZMA say it supports muscle health, your immune system and even sleep. Some male users swear it improves sexual health too! Optimum nutrition ZMA contains balanced levels of the three main ingredients, Zinc, Magnesium and Vitamin b6, in the preferred forms. 5 mg of Vitamin B6, 450 mg of Magnesium Aspartate and 30 mg of Zinc. Helps promote deep restful sleep. Some users report waking up feeling tired. Sleep like a baby and recover like a champ by morning time! Review: Want to last longer and be less sore? Research says MCT oil can help the CrossFit athlete increase endurance and decrease lactate, the substance that makes you feel sore after a grueling WOD. 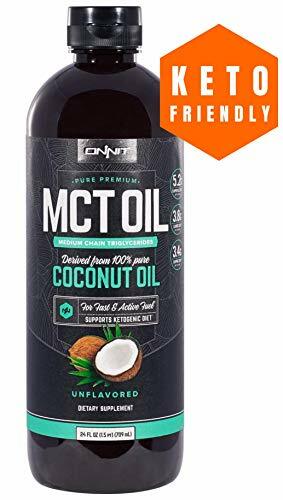 Onnit MCT oil is pure, with NO palm oil, and flavorless so you can cook with it, put it in coffee and more. Contains NO palm oil- unlike other brands. Organic non GMO and sustainably sourced. A high quality MCT oil that should be on every CrossFit athletes list of best supplements for CrossFit training. 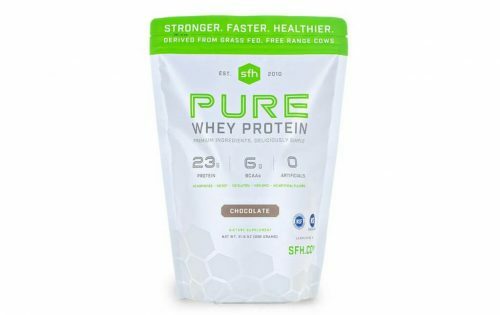 Review: SFH Pure whey protein drink mix stands out from the rest because it uses all natural ingredients, including Stevia and natural vanilla flavor. Plus it has NO soy. The whey is minimally processed and sourced from grass fed cows in New Zealand and Australia. Interesting. Sweetened with Stevia, a natural sugar alternative. Uses Sunflower Lecithin vs Soy. 23 grams of fast digesting Whey protein. This SFH Pure Whey is one of the best supplements to take for CrossFit recovery. Review: Branched Chain amino acids are made up of the three muscle building amino acids-leucine, isoleucine, and valine. During intense exercise, BCAA levels naturally fall and cause fatigue. Supplementing with BCAA may prevent fatigue and help you feel less tired. 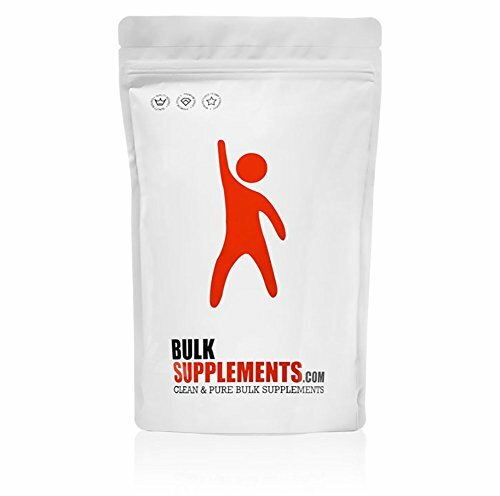 This Bulk supplements powder is a very economical way to get BCAAs in your diet. Highly Rated supplement by Labdoor.com. The best value BCAA and on my list of good supplements for CrossFit. Review: CrossFit athletes may deplete Vitamin C stores with consistent strenuous workouts. 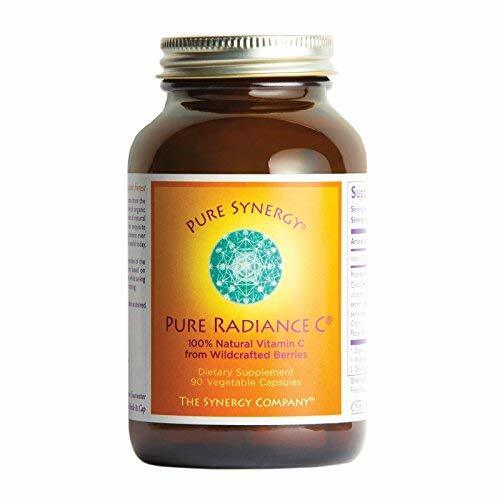 Research shows that while the average population may not see much difference, athletes have been able to reduce the number of colds they get by 50% when they take Vitamin C.
Pure Synergy Vitamin C is made from natural plant sources which are superior to manmade ascorbic acid. Vitamin C reduces Muscle damage, muscle soreness and fatigue. Naturally sourced vitamin C is more expensive that Ascorbic acid. Vitamin C helps the athlete in countless ways and is one of the best supplements for CrossFit athletes. Review: Most nutrients and necessary trace elements the body needs are found only in whole foods, not isolated supplements. That’s why a well-rounded diet and whole food super food supplement like Green Surge benefits the CrossFit athlete. With Wheatgrass, collard greens, spinach, spirulina and more, this green superfoods drink mix will give your body a boost. Contains Spirulina, spinach, broccoli, wheat grass. Includes Digestive enzymes so you get the most from what you eat. Probiotics to optimize gut health. 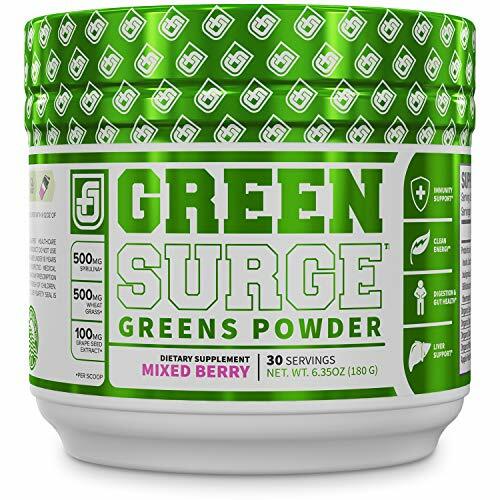 Label does not list carbs, per manufacturer, Green Surge has 4.51g of carbs. A great source of micronutrients, trace minerals, phytonutrients and digestive aids. 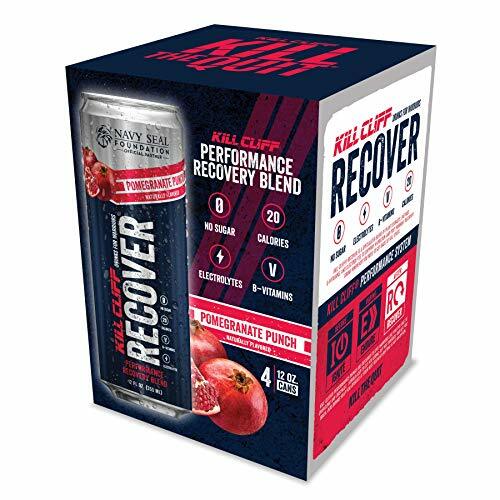 Review: Kill Cliff Post WOD recovery drink is a simple, refreshing alternative to energy drinks or soda, plus it contains ingredients that help you recover after a hard workout. Ginger, Ginseng and Green Tea. Vitamin B12, B3, B2, B5. No sugar and Only 20 Calories per can. Sweetened with Stevia and Erythritol. Refreshing and helpful post WOD drink. Review: L-Carnitine is an excellent supplement for the CrossFit athlete. It is known to decrease fat, Decrease lactate and muscle soreness, decreases fatigue and muscle damage. As a bonus, it also helps cognition and alleviates symptoms of depression. Pretty amazing supplement, right? 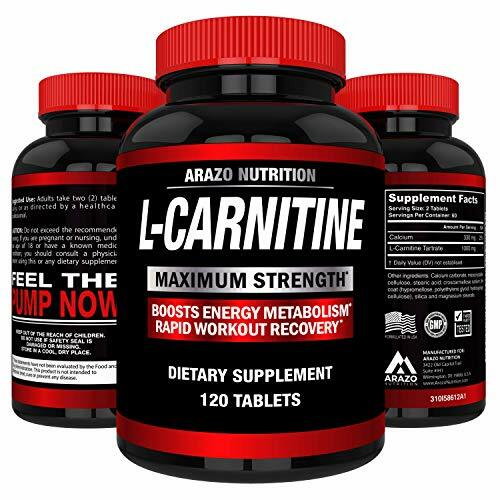 I really like this Arazo brand because each pill has 500 mg of L-Carnitine making it a good deal. Each pill has 500 mg L Carnitine (2 tablet serving has 1000 mg). Large bottle, lasts 2 months if full serving is taken every day. Lean out and increase energy without caffeine using L-Carnitine. Review: Magnesium is an excellent supplement for athletes because it promotes restful sleep, a key factor in recovery after a strenuous workout. I take magnesium every single night and I notice a difference in sleep quality when I skip my nightly dose. 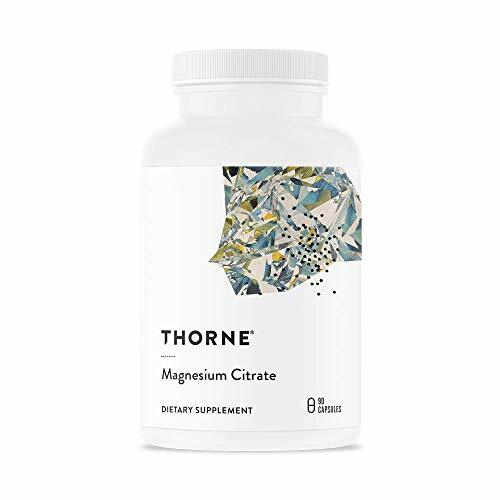 I like the Thorne Research brand Magnesium Citrate because this form of magnesium is very bioavailable. 135 mg of Magnesium Citrate – a highly bioavailable form. Dairy, soy, wheat and allergen-free capsules. Thorne Research tests all ingredients for purity before encapsulating them. Excellent Magnesium supplement for recovery promoting good night’s sleep. Review: The B vitamins are key players in metabolizing Carbs, fat and protein so your Body can use them as energy. B1 is used by your cells to create ATP, your body’s energy source. 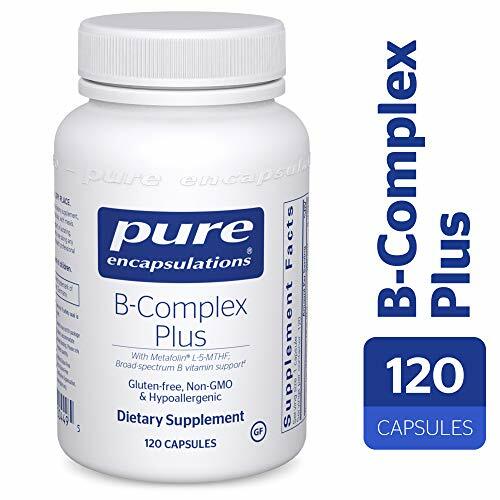 Pure Encapsulations brand B-complex contains the best forms of Vitamin B1, B2, B6, B12, Folate, Niacin and Biotin. It is a very high-quality supplement. Contains Folate in the Metafolin form (L-5-MTHF). Contains methylcobalamin form of B12. No added allergens or other junk. More expensive than B Vitamins that use inferiors forms of B-vitamins. High quality B-complex to increase energy naturally. Review: Creatine is essential for any athlete. The average person burns through about two grams of creatine per day. Athletes who lift weights, like CrossFit athletes, need even more. Creatine is used to help your body recycle ATP, the energy source of your cells. 3 to 5 grams a day is ideal for the CrossFit athlete. Xendurance Creatine contains 4 grams of creatine and 1 gram of lactate per scoop. Lactate is included in the formula because it helps maintain energy production and is great for endurance based exercise. Learn more about Creatine here. Contains 4 grams of Creatine, the ideal maintenance dose for most athletes. Includes one gram of lactate, which helps energy production during endurance based exercise. 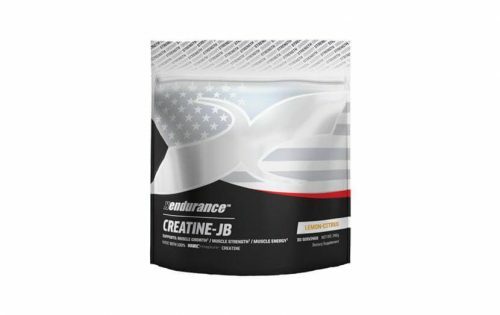 A perfect blend of Creatine and Lactate for recover and endurance. Review: Krill oil contains a more bioavailable form of DHA than Fish oil, which is why I prefer it. In fact, one study says you need a dose 1/3 the amount of fish oil to see the same rise in DHA. Plus Krill oil does not give you those nasty fish burps. Athletes who train hard deplete their Omega 3 levels, which increased the risk of cardiovascular disease and inflammation. 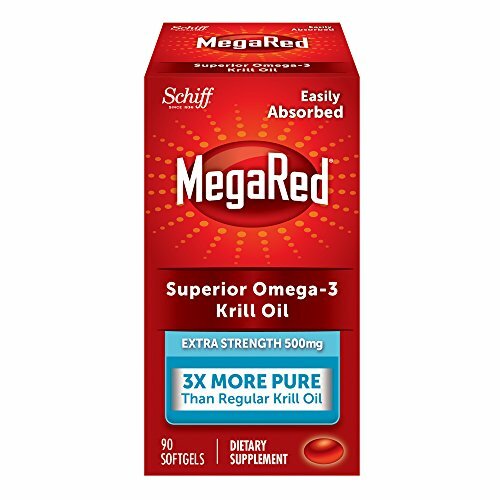 Krill oil is an easy way to get the Omega balance back in their favor. 500 mg of Krill oil in EACH soft gel. 3 times as pure as other krill oil brands. Absolutely NO yucky fish aftertaste. Must be stored in cool dark location. Best supplement to get your Omega 3 levels up. Review: If you have seen any football games lately, you have no doubt seen the Gatorade the players drink. They drink it for the replenishing electrolytes the drink has, but the only problem is all the added sugar the popular sports beverage has. That’s why NUUN Hydration Drink tablets are a better option. 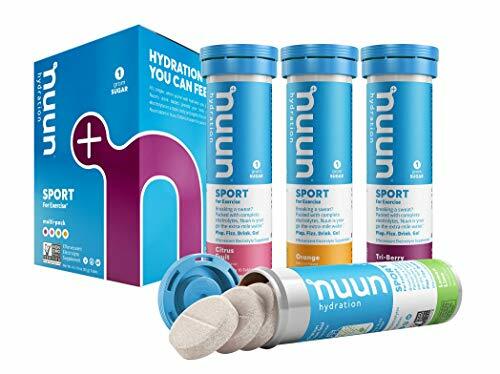 Nuun has no sugar, is totally portable because it is a tablet, and has the same recovery promoting electrolytes as popular sports drinks. Easy to carry tablets in sealed tubes. Simply drop a tablet in a bottle of water for an instant recovery drink. Carbs, sweetened with Monk Fruit and Stevia. The best post workout supplement for CrossFit to replenish electrolytes. 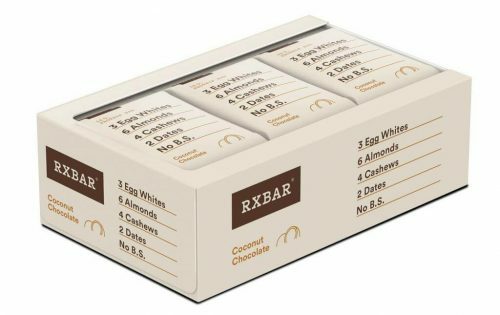 Review: These delicious protein bars contain 12 grams of protein per bar and are made with real, whole food ingredients. Each bar has 3 egg whites, 6 almonds, 4 cashews, 2 dates a dash of sea salt and no added sugar. The “No Funny Business” protein bar. 12 grams of high quality protein. 210 calories and 22 grams of carbs per bar. Hands down, best protein bars for CrossFit! Taste and ingredient quality cannot be beat. 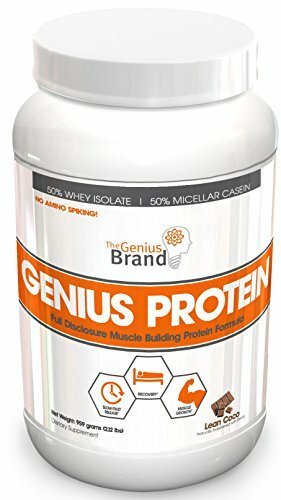 Review: Genius protein powder is one of my favorite protein powders because it uses a blend of 50 % fast digesting Whey protein and 50% slower digesting Casein protein, so you get the benefits of both. 24 grams of protein bar serving. Protein sourced from grass fed cows. Casein protein helps you ward off hunger. Whey protein is quickly available for muscle repair and recovery. Contains 2 grams of cane sugar per serving – not low carb. High quality tasty protein drink mix with both whey and casein protein. Supplements do not require FDA labels but that does not mean they are all safe to take. Supplements can have side effects and interactions with other medications you take. Some supplements may make you sleepy (like magnesium and melatonin), while others might keep you awake all night (like Caffeine, Teacrine, Dynamine to name a few). Some may interfere with antidepressants. Be diligent and take responsibility for your health by finding out what the ingredients in your supplement do. As we head into the 2019 CrossFit open you might be thinking about supplementing to give you the edge you need to stay in you’re “A” game. Pre-workouts give you the energy and focus you need to give each workout your best. Whatever WOD is thrown your way as you work your way to the CrossFit games, a good pre-workout for CrossFit can give you just the boost you need to get to the next level. Sleep and recovery are super important when you are training hard. Get an edge by guarding your sleep and recovery time. Night time recovery aids are a good way to insure you get your ZZZZs. Sleep regulates hormone levels, especially Growth Hormone and cortisol levels. Sleep is necessary to rebuild muscle, regain endurance and strength. Your body needs time to recover to maintain focus and reaction time too. Allowing your body enough time to recover and making sure you get good sleep simply cannot be stressed enough. Check out Shawn Stephenson’s Sleep Smarter for 21 tips on getting the best sleep possible. The CrossFit games are no stranger to hydration related scares. It is not unheard of to see athlete who needs emergency care, suffer muscle cramps or even be unable to finish a competition because they were not adequately hydrated. Be sure and have a hydrating recovery drink on hand and don’t get caught off guard. Creatine – a muscle building supplement that is heavily involved in ATP production. Beta alanine Increases physical performance and aids in muscle gain. BCAAs – three amino acids that work to build muscle because they are used in protein synthesis. BCAAs levels drop during exercise, and BCAA supplementation keeps levels high, which prevent fatigue. Omega 3 – fights inflammation, reducing post-workout pain. Protein either Whey or Casein – to replenish protein stores so the body can maintain and build muscle. Electrolytes – electrolytes are lost when you sweat, and they play a role in preventing dehydration. Your body needs more than water to maintain proper hydration. Vitamin D – many athletes do not have optimal levels of vitamin D. Vitamin D is used in testosterone production, cognition and it supports the immune system. Magnesium – many people are deficient in this critical nutrient. Magnesium helps sleep and a deficiency hinders good sleep. Athletes lose magnesium through sweat, so supplementation may be necessary. If your diet is not perfect, nor your sleep routine on point, using the best supplements for CrossFit may not be a bad idea. I’m sure, as an athlete, you do your best to stay healthy and take care of your body. In this culture, staying up late, lots of nighttime screen time, working hard, and eating out are common and these things get in the way of a great diet and ideal sleep habits. In my opinion, supplements are a helpful tool and worth it to use. I hope you found some helpful tips and ideas in the list of best supplements for CrossFit 2019. Don’t forget to subscribe to the newsletter to be notified first of new and useful content. We only need your email address to send periodic updates direct to your inbox. 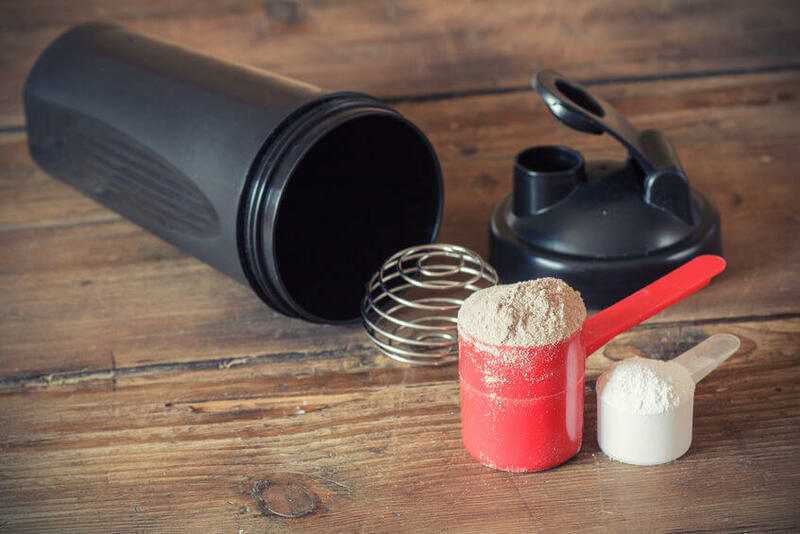 Creatine vs Whey Protein – Which is Better and Why? Question Answered! Does Whey Protein Have Side Effects? Myths Debunked!